The ministers have left town having announced OPEC’s first real-terms headline oil production cut in eight years, sending oil futures rocketing intraday by over 8%. Now that the Oilholic has gathered his thoughts, one feels the significance of such a move cannot be understated, but overstating carries perils too. Starting with former point first; describing the announced cut of 1.2 million barrels per day to 32.5 million bpd as ‘historic’ is about right. For starters, after many years, OPEC proved that it can get its act together, set aside political differences and come up with a cut. Admittedly, bulk of the production cut would come from Saudi Arabia, which would shoulder 486,000 bpd in cuts. However, willingness to participate came from across the OPEC board, with Iran also promising to temper its expectations rather than keep banging on about its stated ambition of hitting a production level of 4 million bpd. Furthermore, Indonesia, a net oil importer, unable to partake in the cut, suspended its membership, although truth be told it was farcical for it to have come back to OPEC last year. Additionally, at least on paper, OPEC has managed to extract concessions from non-OPEC producers as well, chiefly Russia. It seems we will see around 600,000 bpd of non-OPEC cuts, of which Russia would account for 300,000 bpd. The market awaits further details after an imminent meeting between the Russians and OPEC takes place, but it all seems positive for now. That said the crude world should temper its expectations. Announcing a production cut is one thing, getting OPEC and non-OPEC participants to carry it out is a different thing altogether. If one or more members fail to comply, the domino effect could be others going down the non-compliance path too. 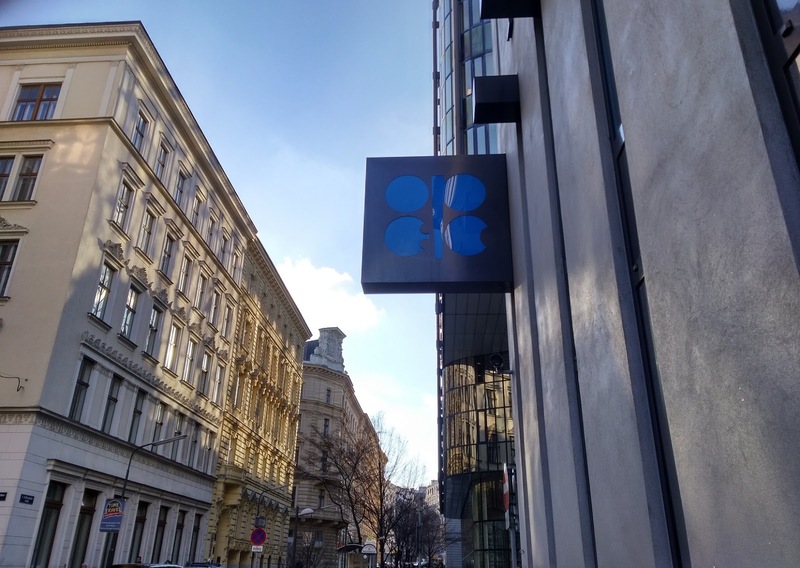 In a first of its kind, OPEC has set up a monitoring committee comprising of Algeria, Kuwait and Venezuela to keep tabs on the situation – and it has its work cut out. Of course, OPEC has no way of policing non-OPEC compliance and past experiences of extracting concessions from Russia haven’t really worked. We’ll know soon enough when data aggregators such as S&P Global Platts and Argus report back on cargo loadings in January and February. The events in Vienna will support the price for sure over the medium term – lifting it to the $55-60 range. However, what that does is support the US shale industry too. Of course, the projected price uptick is unlikely to drag US production levels to the dizzy heights of 2014, but the market should now brace itself for additional barrels from North American producers. Finally, before one takes your leave, here is some additional analysis in the Oilholic's latest Forbes post. With those crude thoughts, that’s all from Vienna folks. Keep reading, keep it ‘crude’! © Gaurav Sharma 2016. 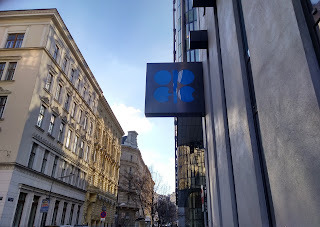 Photo: OPEC building exterior, Vienna, Austria © Gaurav Sharma, November 2016. Merry Christmas & a few crude notes!